How about Trick or Treating for UNICEF? 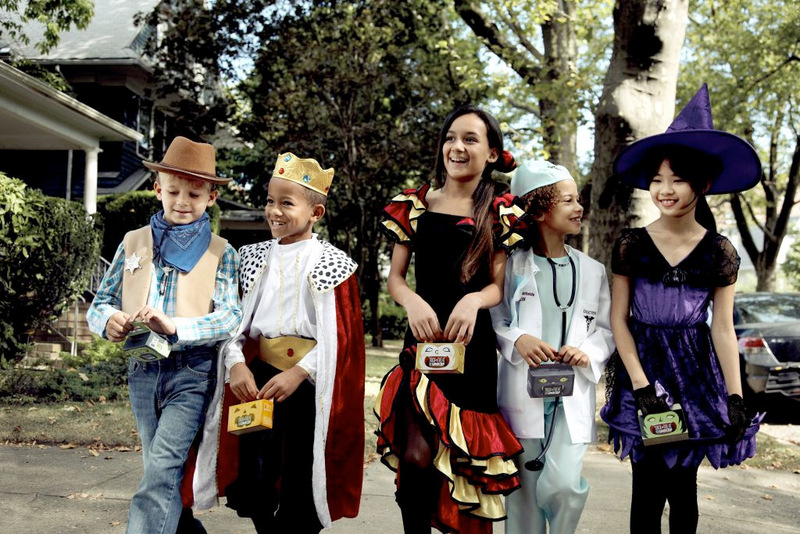 Trick-or-Treat for UNICEF is one of the longest-running child volunteer programs in the United States. It has been active for over 60 years and encourages children of all ages to raise funds for children around the world. In the past 62 years, over $167 million dollars have been raised during Trick-or-Treat for UNICEF and the money has been able to provide health care, immunizations, safe drinking water, sanitation, nutrition, education, and other services to children in 190 countries and territories! Check out more of UNICEF’s Trick-or-Treat history here. So, by now you are asking yourself, “What can I do to help?” Easy peasy, as my kids would say. Visit the UNICEF website and request your collection box kit. The kit includes the collection boxes, educational materials, a poster, stickers, and a DVD with more information. The cool part? 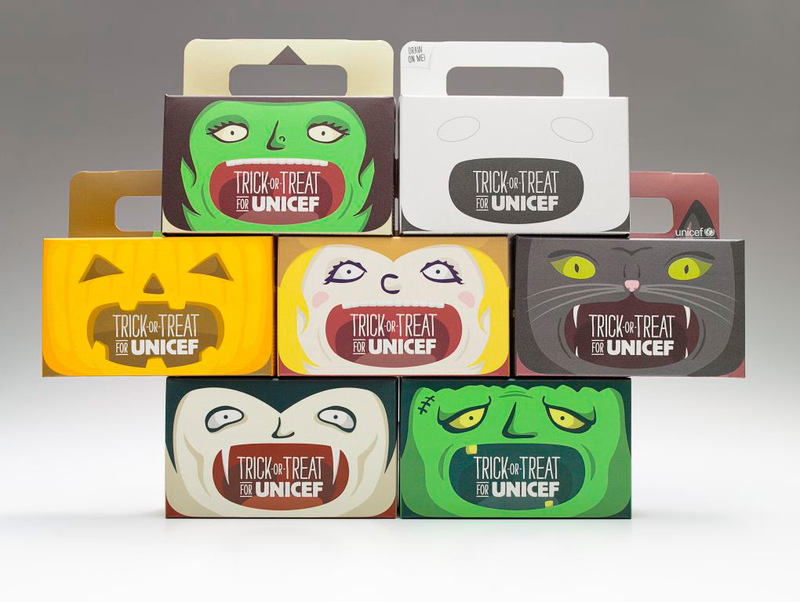 This year, UNICEF is sponsoring the first ever Box Design Contest! Kids are encouraged to design and submit the design for a collection box. There is a “blank” box in your kit. A winning design will chose from each age category (4-8 years, 9-12 years, and 13 years+) and they will be used for next year’s boxes! The contest runs from September 1st -October 26th and the winners will be announced October 31st. Want some other ways you can help? You can create a personal fundraising page and collect donations online from family and friends! You can text the word “TOT” to UNICEF (864233) to make a one-time $10.00 donation to Trick-or-Treat for UNICEF*. Donate online at the secure donation site. Check out this October activity calendar for ideas to share with your children. You can also check out this page for more resources and ideas/tips on raising money for UNICEF. I BELIEVE IN ZERO. I believe in zero starving children. I believe in zero exploited children. I believe in zero preventable child deaths. Use #ToT4UNICEFwhen on Twitter, Instagram, Google+ and Pinterest! So… hook up with UNICEF on all your favorite social media, check out their website, order your collection kit, design your box and get out there! *A one-time donation of $10.00 will be added to your mobile phone bill or deducted from your prepaid balance. All donations must be authorized by the account holder. All charges are billed by and payable to your mobile service provider. Service is available on most carriers. Donations are collected for the benefit of “U.S. Fund for UNICEF” by the Mobile Giving Foundation and subject to the terms found at http://www.hmgf.org/t. Messaging and data rates may apply. You can unsubscribe at any time by texting STOP to short code “864233”; texts HELP to “864233” for additional assistance.